[This is part of a vignette series I'm doing. Instead of full length stories, I will be writing scenes from various uncompleted works. Flying low above the water and islands of the Pacific Ocean, a Sea-Plane swooped up and over several rock patterns as it tried to stay as close to the water as possible. It was a small aircraft, with a crew of two. The pilot, a Canuck going by the name Argyle, was an experienced flyer that had lead his flight squadron through the last great war. The other passenger was Scottish action hero Morris, a man that always seemed to have trouble following at his tail. Two days ago, he was relaxing on a beach when his old friend blocked his sunlight and discussed business revolving around their current employer, Colonel Starling. The English officer had a habit of interrupting Morris’ holidays. Maybe he should stop telling them where he was going. Morris sighed, looking towards the island. It wasn’t the largest slab of land around these parts, but its shape was reminiscant of a crescent moon rather than your standard, oval desert island. It was around half-a-mile in length, with a small opening that stopped it short of being a complete circle. The C-shape allowed the submarine to disappear in to the centre body of water, while the tall walls of cliffs and rocks prevented anyone from looking in from a distance. People like Morris, who had no idea what to expect when he got closer. However, through the narrow scopes of the binoculars, Morris could pick out at least two-dozen Soviet sailors equipped and ready to scare away anyone that came close. “No. 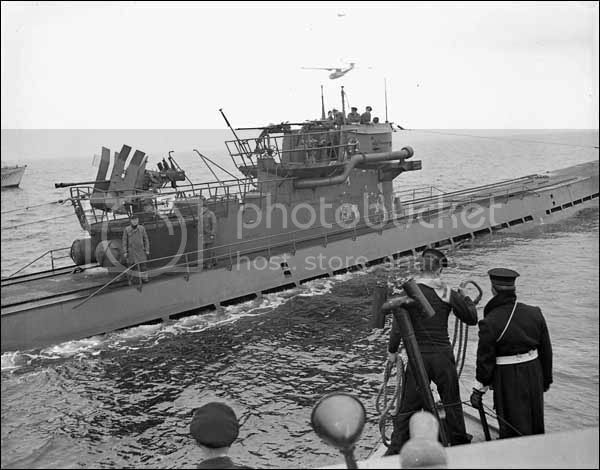 I’m not putting on a stupid voice to get in the sub.” Climbing over a couple of boxes, the Scottish soldier picked up the radio receiver from the control panel and hovered his finger over the buttons. “How do I work this?” He had already begun pushing buttons when his hand was flicked away. “Stop that.” Warned the Canadian. “I’m trying to phone Starling. I wanna speak to him. He'll ken what to do.” Once again, the Scot was nearly breaking the thing with his random selecting of switches. Argyle shook his head and brought the device to life. Lights and motors begun to hum, and soon, Morris was punching in the radio frequency of Starling’s headquarters back home in England. “Is it ringing?” Asked Argyle, with sarcasm.